My Fall for Cotton project is complete! I wasn’t able to accomplish as much as I planned, but I do have a nice new blouse. 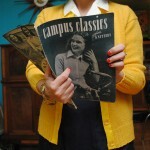 I sewed McCall 4854, a blouse pattern from 1942. 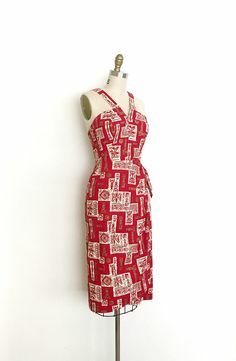 As you may recall from my project plans, I used a vintage cotton fabric in my stash, along with red vintage buttons, and I sewed the buttonholes by hand with vintage red buttonhole twist. The buttonholes are probably my favorite part of the blouse! When I started off on this project, I thought I’d convert those really deep darts coming down from the yoke to the bust apex to pleats to match the back. Cute idea, right? Wrong. It looked like absolute crap and pulled and puckered horribly. Since I didn’t do a muslin, I was tinkering with the final garment so I opened up the front yoke seam, unpicked my pleats, and put in the darts. My initial intention was to do contrasting saddle stitching along the collar, but I completely spaced out on that! I do really quite like the pleats in the back, even if they get a little bit lost in my print. They’d look great with a solid fabric! Once the blouse was sewn up I debated about whether or not to add a pocket like the pattern shows. The pocket has a little flap, but is actually open at the top, so the flap is just decoration. I surveyed the Instagram world and consensus was no pockets. So I have a tiny matching pocket sitting around that I may put on something else some day. But I agreed, the blouse was too busy for pockets. This ended up being a fairly frustrating make from the beginning and the final blouse doesn’t thrill me due to a couple of issues (collar facing, I’m looking at you), even though it won’t stop me from wearing it. 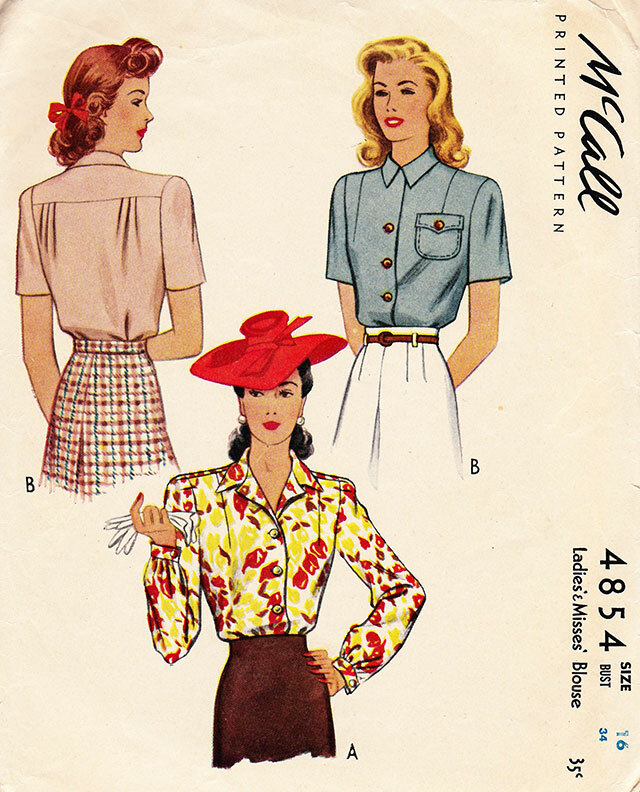 But about halfway through I realized I really should have just sewn up another version of my tried and true blouse pattern (I’ve made three so far) that’s also a McCall pattern from 1942. Ha! I’m now on a serious knitting kick, but I need to start sewing up some solid separates to wear with all the printed blouses I have swirling around my head. 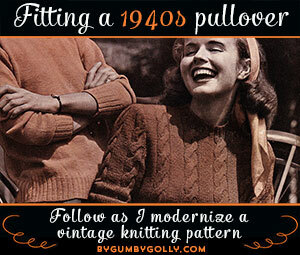 And then I need to knit cardigans to match. I better get crackin’! 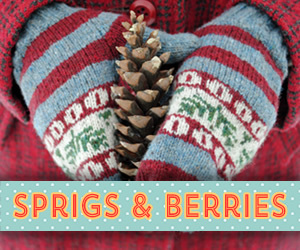 Now that Fall for Cotton is complete, what are your sewing and knitting plans?? Today is the last day to submit your Fall for Cotton photos to our Flickr group, so get them in! More to come from Rochelle and I on the prize front soon! Awesome job! I really like the classic cut of this blouse, and how it strikes me as working well for all four seasons (granted perhaps with a cardi or under a jacket for late fall and winter). 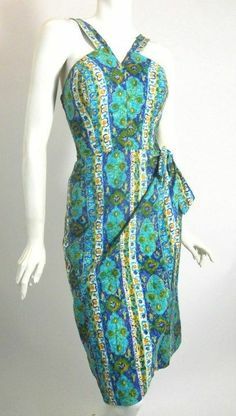 Wonderful fabric and button choices, they partner together beautifully and add up to an unforgettably lovely garment. It looks great! That fabric is so perfect on you. It looks great and yay for hand worked buttonholes! You rock! Even though you aren’t completely thrilled with it, the blouse looks very nice on you. Great job. I really like the print. 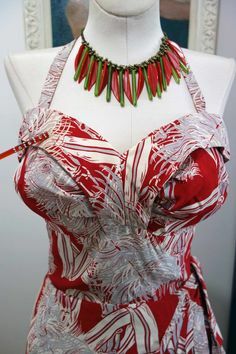 I have a similar blouse pattern. I think mine’s from 1946. 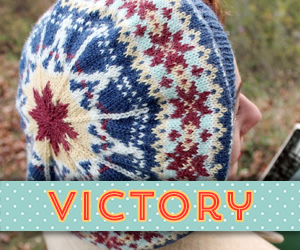 Seeing yours made up makes me think I should make my pattern. It looks great Tasha. 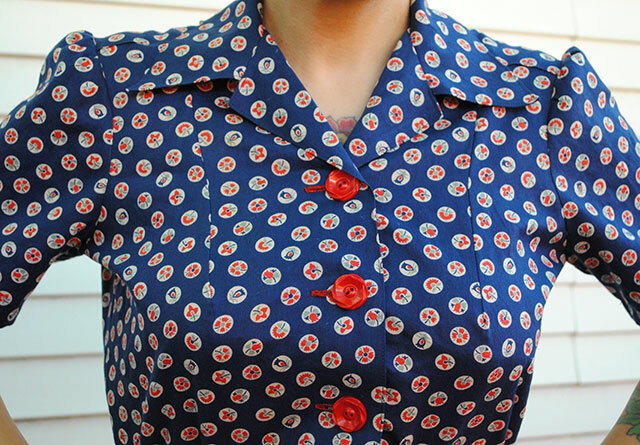 The wonderfulness is in the details: The red buttons, the colored buttonholes, and those back yoke tucks. It looks beautiful! I love the big bright buttons and the print is so pretty. I just managed to get my blouse finished- I did the buttonholes by hand late last night. I also finished up the sweater that I’ve had on the needles since April, so I’m itching to get that sewn up so I can start on my Datemaker! I also need to find a small project to take on holiday with me this weekend. 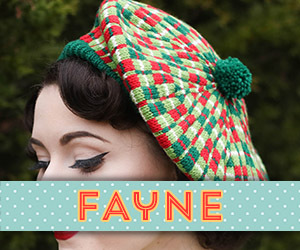 Ooh how exciting, I can’t wait to see another Datemaker… now that I’ve knit one yet myself. Tee hee! beautiful fabric and red buttons. The red buttonholes are a really nice detail. I think it turned out beautifully! The pleats at the back really are great. You know, I had zipper troubles on my dress for Fall for Cotton, too. 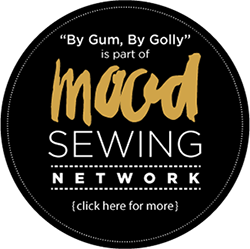 Perhaps we all lost our sewing mojo for just a little while! Looks great! I’ve been recently converted to the amazingness of some cute printed blouses! Need to make more! 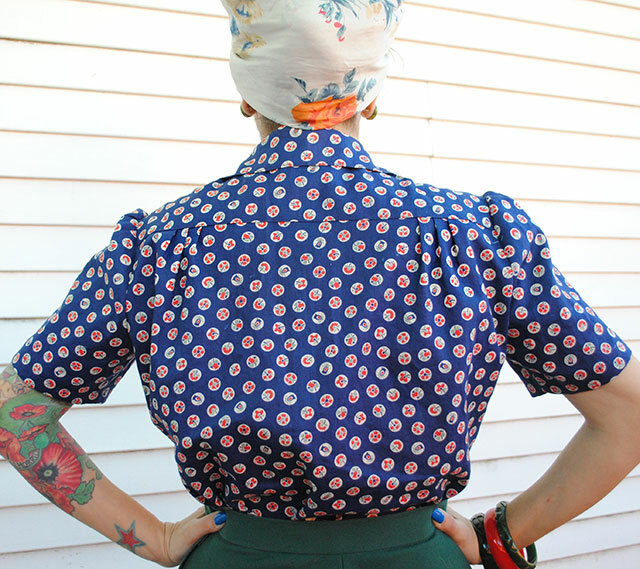 Alas, I think I do need a new blouse pattern so I don’t end up with 7 or 8 of the same shirt in different prints! Ha ha, I could easily see myself having 7 or 8 versions of the same blouse! lol That’s why I tried this pattern, for something slightly different. I actually think this blouse looks better than the envelope. Great job and congratulations! The print is fabulous too. This is AMAZING! I love it! 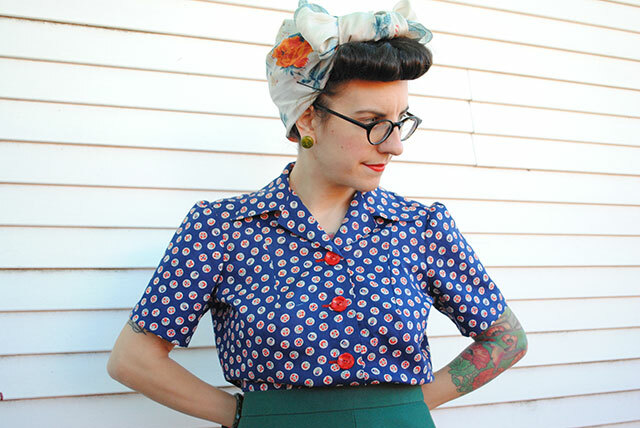 I just made a few 1940s blouses that do have pleating in the front, and I think for my next project I’d prefer the deep dart that this pattern has. It looks great! I feel slightly responsible for your blouse mishaps since I believe I was the one who suggested the pleats haha! Whoops! I really think the blouse looks great, even though it gave you some trouble. I LOVE the fabric, and the buttons are super awesome. I’ll have to try buttonholes by hand one of these days. Yours look perfect!! I love the color combo you have going with the blue/red/green! The blouse looks gorgeous, despite the headaches it cause you. I agree that this type blouse will be wonderful to have in your wardrobe year round! 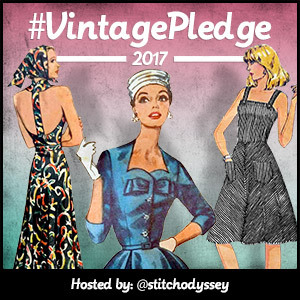 Thank you for co-hosting the sew-along! It was a lot of fun and I’m excited to see the round-up of contributor submissions! 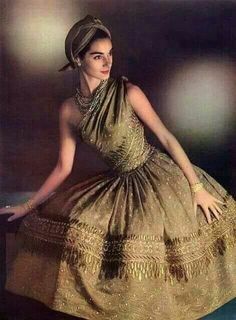 I would love to wear beauty like this but these kind of blouses are quite impossible to find in vintage! You are Lucky to have so much talent to sew… I’m not even able to sew straigh with a sewing machine…. 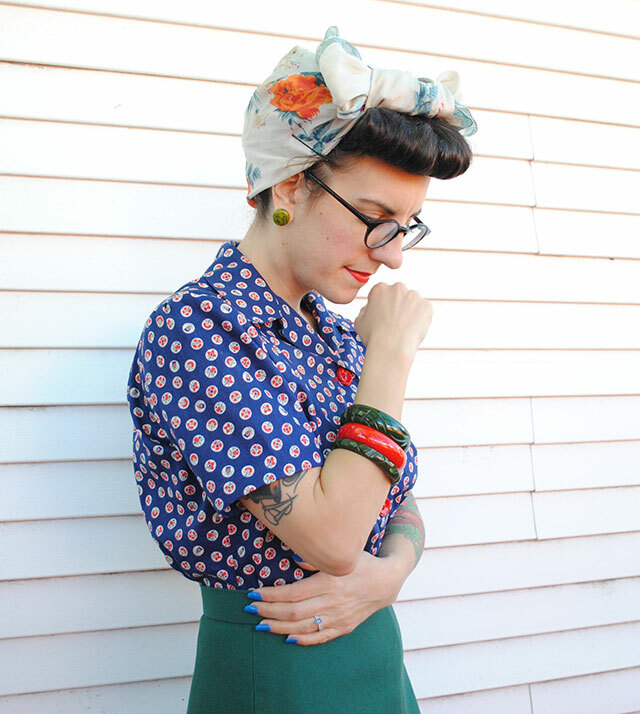 Oh, forgot to tell you that this turban style is AMAZING! You look gorgeous!!!! Stunning blouse! You look great in this outfit! Your blouse is lovely, especially the back pleats! 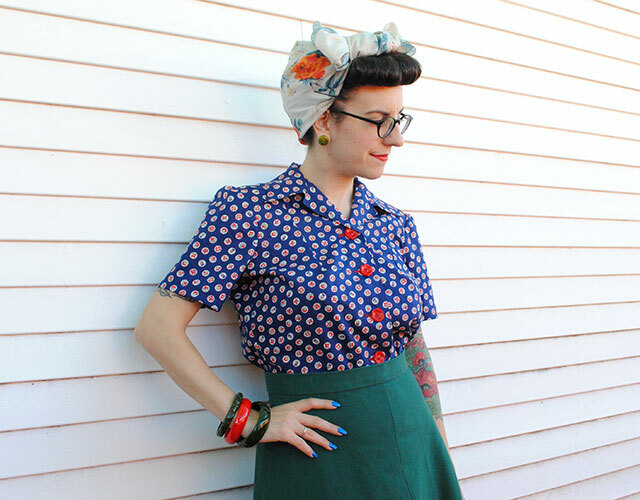 Surely a short sleeve blouse is one of the most versatile garments you can make. 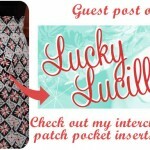 I have recently discovered your blog from Lucky Lucille (which I discovered from Chronically Vintage!). 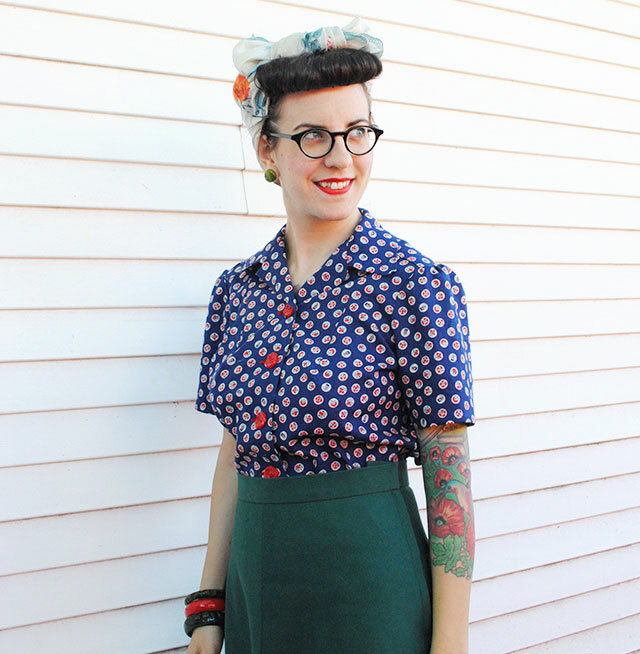 Although I wear little vintage I love the styles and I sew. Thank you in particular for your handmade buttonhole tutorial – it was very clear and easy to follow, and your bra post, too (have issues in this department!). Great blog, will look forward to reading more. Fantastic blouse! I am in love with that fabric! You girls are super! I had just a quick look at the Flickr group and there are sooo many wonderful project showing up!! Great works and I love your enthusiasm! 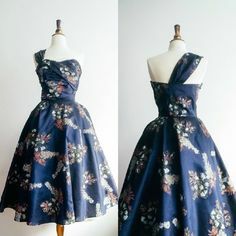 I am sorry I didn’t finished my project but the frustration of not having enough vintage fabric for the dress I would sew discouraged me to make something else. What a fab colour combo! Wow! I love this! It’s so classic and will go with so many things! I’m also in awe of your turban skills! I have yet to master anything like that! It’s gorgeous! I know it was a pain sometimes but I really love the finished item on you. I am also in complete awe of your hand worked buttonhole skills! I love this blouse. The fabric, buttons, buttonholes..all of it! I really enjoyed taking part in this sew along, and love my fall for cotton dress so much I have another one from the same pattern in progress! 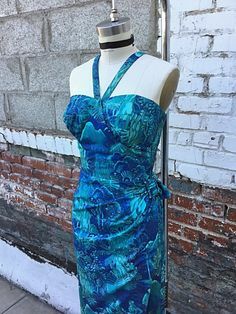 I don’t usually make two dresses from the same pattern straight after each other, but I am now! 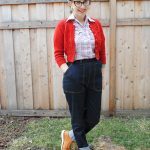 I really appreciate your blog and all of your beautiful sewing and knitting work–I enjoyed reading about the progress of this sew-along although I didn’t myself have the time to join in! 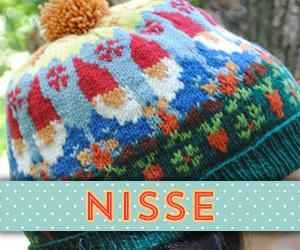 You said you’re on a knitting kick–do you think you’d do another knit-along (the Briar Rose was pretty neat!)? Oh, your blouse turned out lovely! The buttons are just the right ‘touch’ to make it sing! 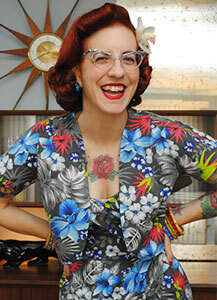 Love your vintage hairstyle as well. 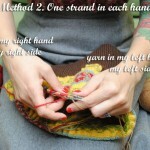 Thanks for hosting this sewalong, I had a great time sewing up my dresses in cotton knits. 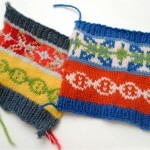 Even though one cotton knit was a nightmare to work with! Who knew cotton could be so nasty? Lol. Really cute! This is so you! Your buttonholes and buttons are great! 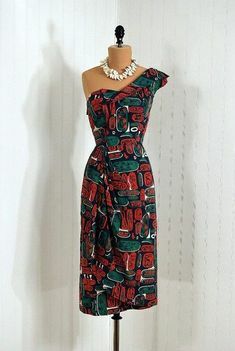 Love the contrasting thread and fabric. It looks wonderful on you. I’m glad my project didn’t have any buttonholes (hee hee) but if I make a vintage pattern in the future, I’ll definitely try doing them by hand. love the buttons! actually … i love the whole blouse!!!! 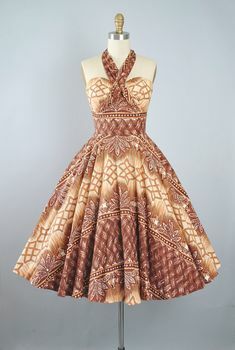 I love the print!! I definitely agree that it looks better without the pocket, but the red buttonholes and buttons are such a darling, striking feature. I definitely love that you’ve paired it with the green skirt – a marvelous combination!